To know someone here or there with whom you can feel there is understanding in spite of distances or thoughts unexpressed – that can make this life a garden. The above quote is attributed to Goethe. 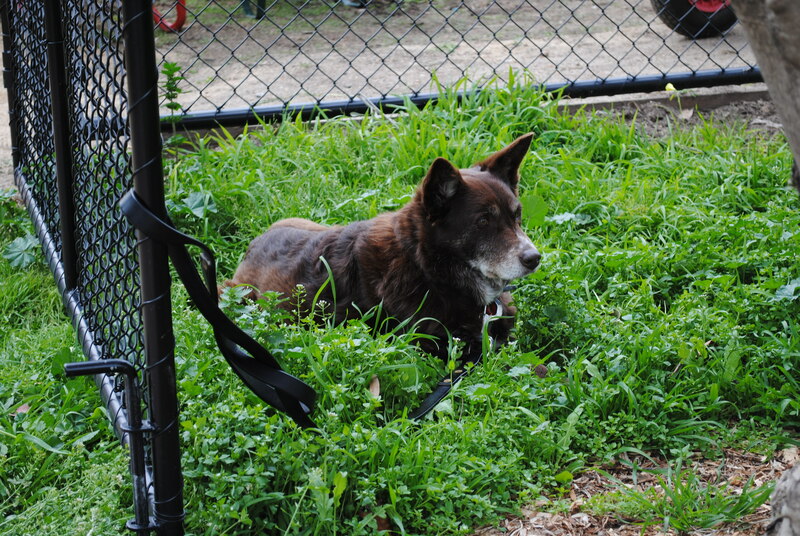 While this is a post is about the West Brunswick Community Garden & Food Forest and the Moreland Community Gardening group, on a broader scale it’s also about my pet belief, which I know I do go on about a lot. That is, there’s a sense that a tide is slowly turning, and that those values that should be at the heart of all societies are finally being recovered and restored to their rightful place. Some might say, too late, but we still have to get through each day and find pleasure in and sustenance from our lives, and it is in our communities that we find this, not in worrying about the uncertain future (note to self – stop worrying about the future). Over the last 18 months the West Brunswick Community Garden & Food Forest has risen out of some fairly toxic ashes to become a productive, vital hub for gardeners and other interested folks in the area, with a future that looks both bright and bountiful. Originally set up about 15 years ago, on an English-style allotment basis and used by the local Greek and Italian first generation migrants (bless them, for always and ever), governance issues eventually caused the garden’s demise, and then the subsequent downfall of the community-based group that followed. 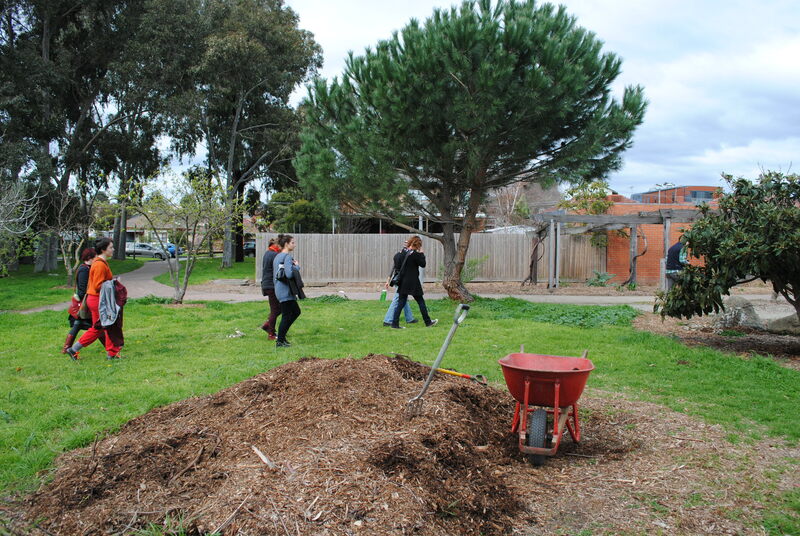 The current group – Moreland Community Gardening – took over only 18 months ago, with their proposal for the space to Moreland City Council accepted and a small grant awarded. The garden itself is only a year or so in the making and what this small (but steadily growing) group has achieved in a short space of time just goes to show how quickly a garden can emerge with some dedication and community spirit. 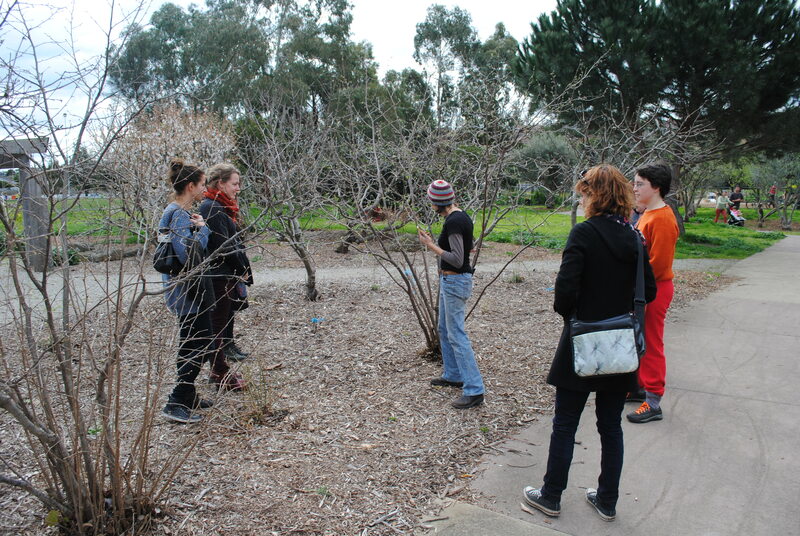 Last Sunday, as part of Fair Food Week, the West Brunswick Community Garden & Food Forest offered a tour of the project, an offer that I gratefully took up, not having heard about the garden or forest before. We gathered just after 2pm, a small bunch of women, plus Stefan the photographer, son Max and Albie the dog (who had to be asked to go for a walk, as he was talking over people). Mark, the group’s president and one of the driving forces behind the garden’s recuperation, gave us a run down on the history, which is much potted above (first and only gardening pun – promise), and talked about some of the group’s current and future plans. We were then handed over to the incredibly knowledgeable Karen, who oversees the intersecting group that manages the regeneration of the Food Forest. So here’s a little tour of the West Brunswick Community Garden & Food Forest, with a few tidbits of information along the way. 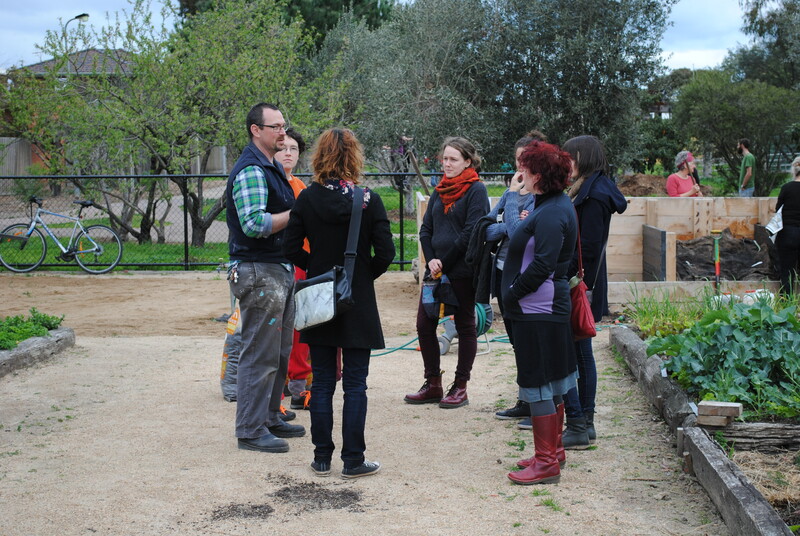 Mark talked to the tourists about the history, present and future of the Community Garden. An overriding theme is that anyone, absolutely any interested person, is encouraged to become involved. 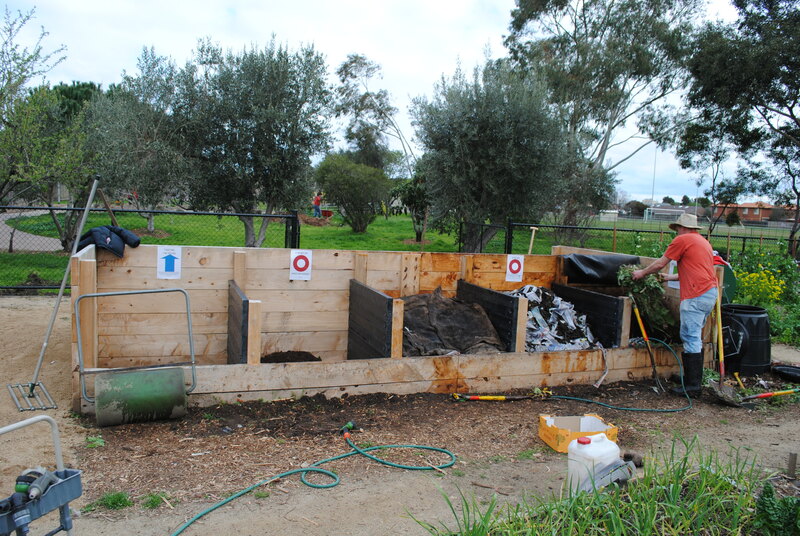 The composting system, where locals and others can bring their food scraps if they don’t have a compost of their own, or can bring their excess if they have too much. As far as I’m concerned, you can never, ever have enough compost. 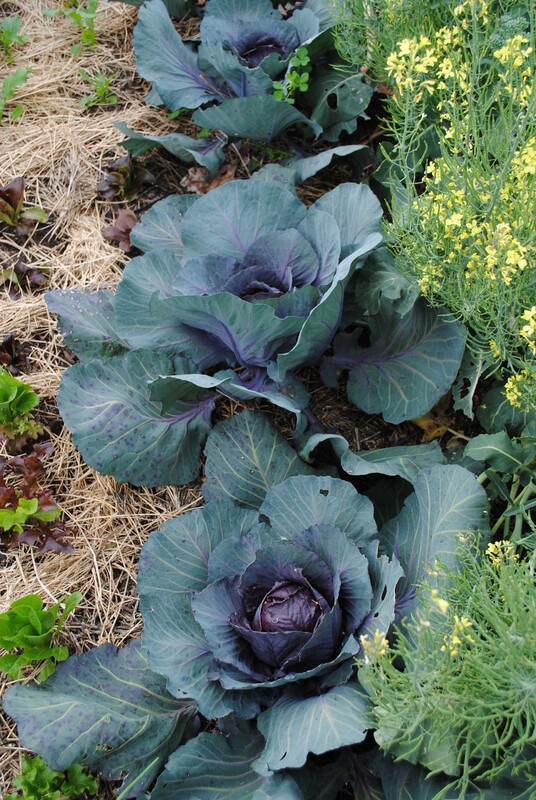 The current crop: the community gardeners are growing red cabbage, peas, broad beans, broccoli, cauliflower, kale, lettuce, herbs & companion plants, amongst many other things. The working bee last Sunday included planting a range of citrus trees along the fence line. 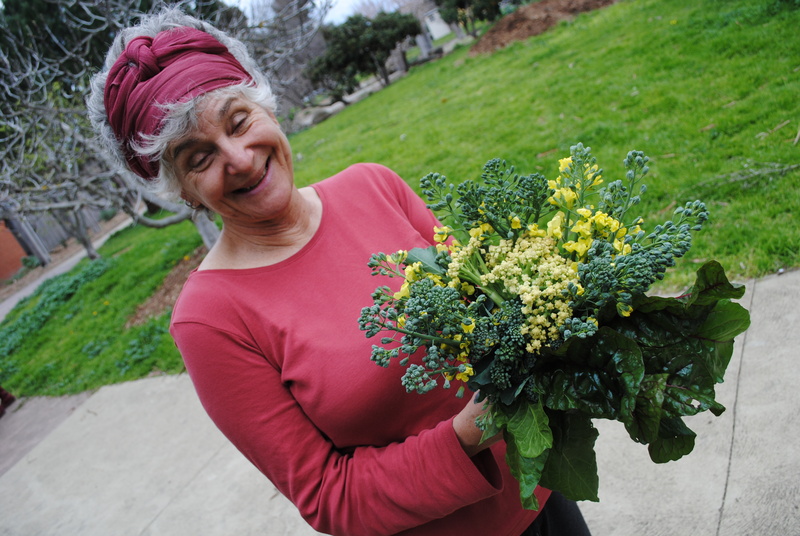 Julia, one of the members of the garden group, with the day’s pickings. And below, Albie, following disciplinary measures. 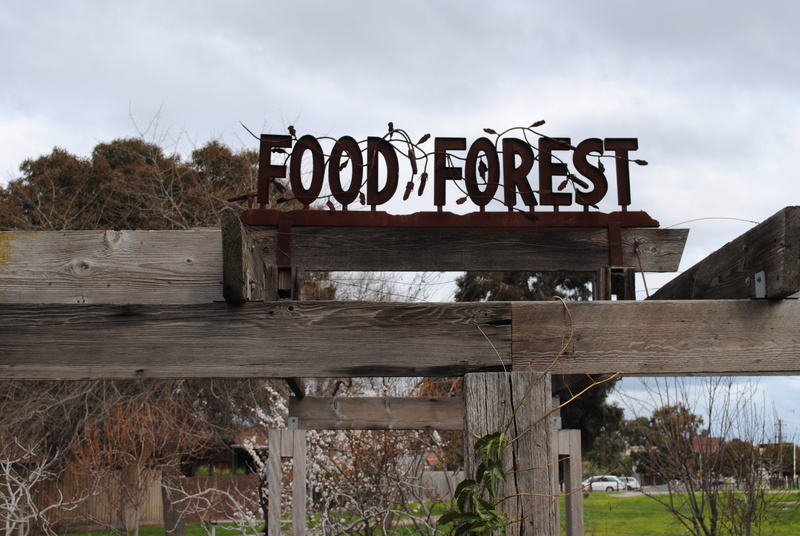 The Food Forest is a separate but conjoined story, with the Moreland Community Gardening group taking over its management prior to taking on the garden. Again, the forest had been planted 15 years ago by some forward thinking locals, on permaculture principles, and then fell into disrepair and neglect after a difficult public liability issue. The Food Forest includes a range of productive trees – apples, pears and hazelnuts to name a few – and a steadily expanding understorey. There’s also a well-established lime tree, which set off a massive Mojito fantasy, and a rare and beautiful bonus in the stone pine (which produces pine nuts), pictured below. Karen, who oversees the Food Forest group, was a wealth of information, particularly about the hazelnut trees, which aren’t that common in Australia, for good reason. Until recently the varieties grown here were all European or North American cultivars and didn’t do very well; now, following a lot of research, a number of varieties have been bred that are suited to Australian conditions. But, if you want to try hazelnuts at home, you need at least three different varieties for good pollination and planting in a circle is recommended. Planting on the understorey of the Food Forest has met with a few hurdles, such as rampaging kids, limited access to water and plant pilfering. Slowly, however, the aim of a lush, rambling forest understorey, incorporating edible and companion plants, is taking shape. Anyone with spare mint, borage, nasturtium seeds, or other hardy understorey plants is encouraged to bring them down and stick them in the ground. There’s a tap nearby in the community garden for bedding down. “We’re trying to fill up the gaps with useful things,” says Karen. 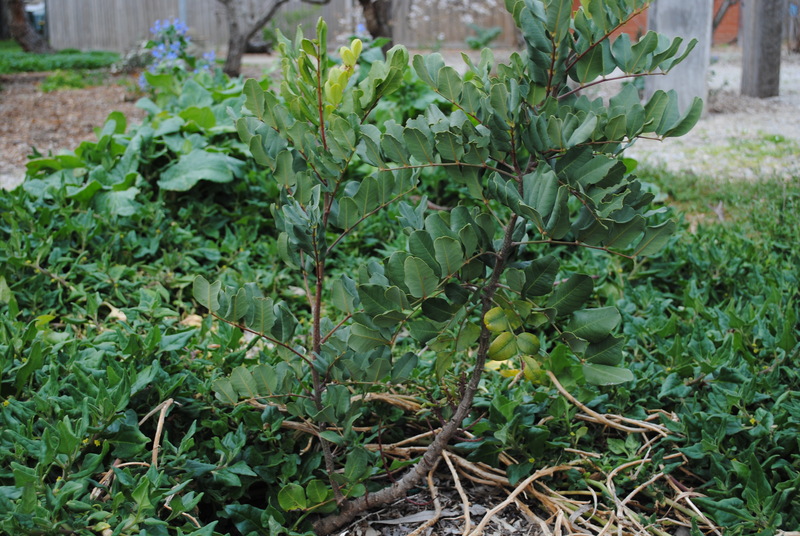 A Goji berry, boasting buds for the first time, is surrounded by Warrigal greens (New Zealand spinach). 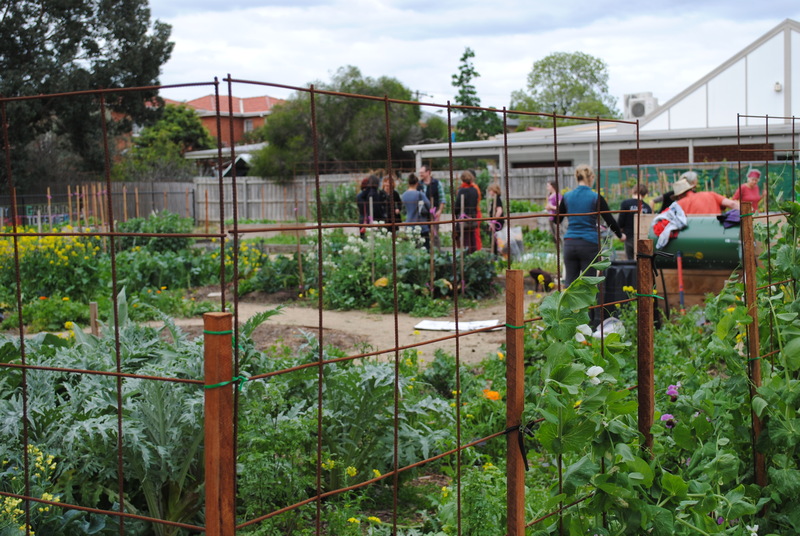 The West Brunswick Community Garden & Food Forest is a lesson in how quickly a vision can become a reality, and how gardens such as these are fast becoming a central part of many people’s lives, not only in providing food but in fostering communities. The afternoon we were there, the regular monthly working bee was just wrapping up. Kids were running around or turning compost; a few brave souls were digging up lumps of concrete in order to plant the new citrus trees; Julia was picking her broccoli and cauliflower, cups of tea were being made, and a lot of spare food was making its way to CERES to be served up at the Fair Food Week Open Table. 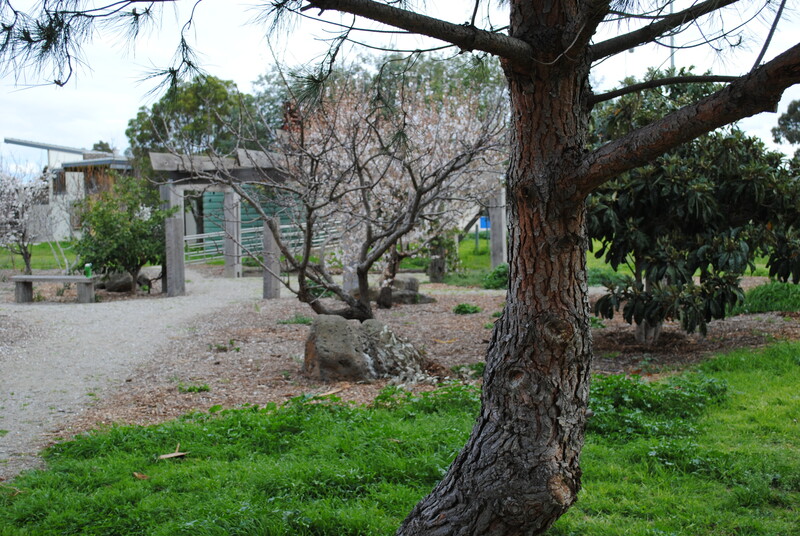 The West Brunswick Community Garden holds a Sunday session each week from 9am until 12. A monthly working bee, to tackle larger jobs, is held on the 4th Sunday of every month. 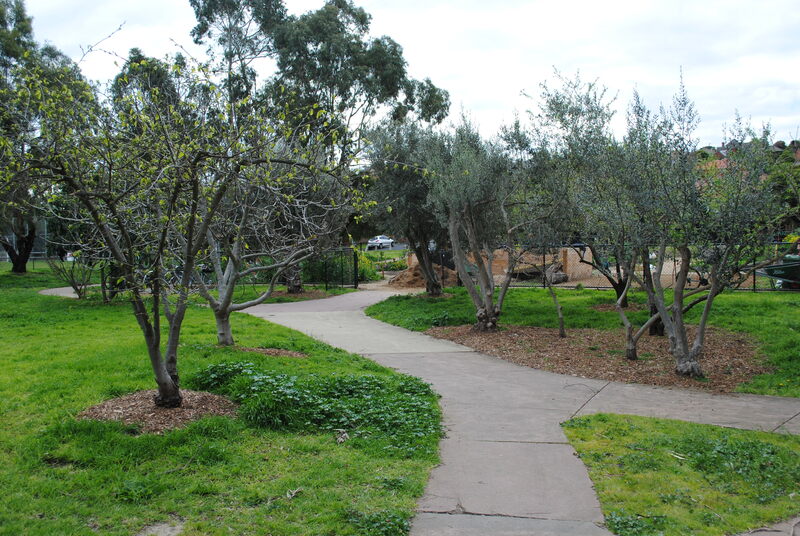 Any inquiries can be directed via the Moreland Community Gardening website or the Facebook page. 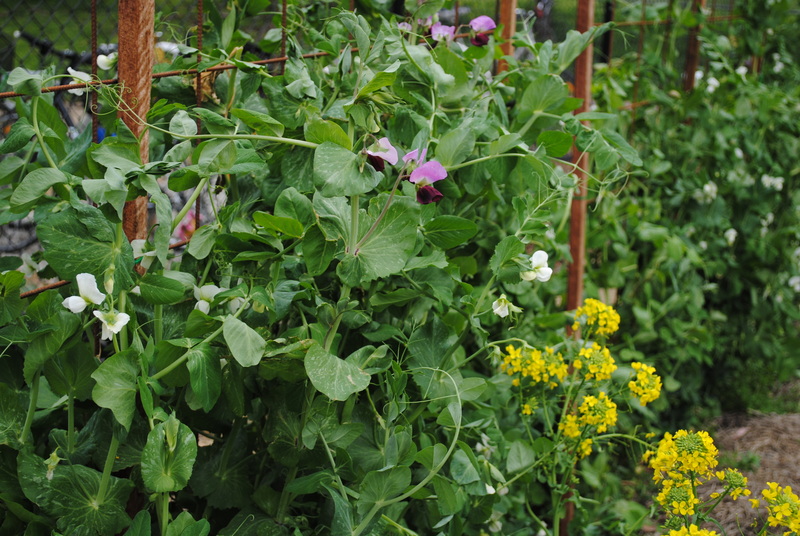 The Buzz would love to feature other community gardens. We know you’re out there, so get in touch with us via the form at Behind The Buzz or contact us via Facebook.